No HOA fee! 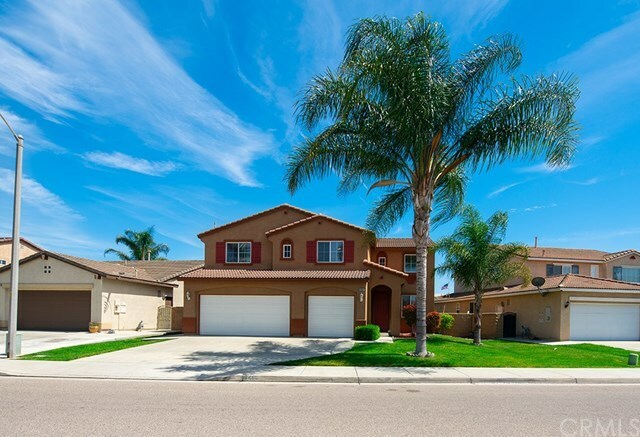 This warm and inviting home boasts an open floor plan with 4 bedrooms and 3 baths. As you enter through the front door you are greeted with Warm and inviting feeling throughout and high ceilings.Â A Bedroom and full bathroom downstairs that makes a wonderful space for overnight guests.Â The first floor has beautiful real wood flooring throughout. Spacious kitchen with large dinning area and center island. The master bedroom along with 2 other bedrooms are upstairs. The large master bedroom features separate "his and her's" walk in closets situated on opposite ends of the master bedroom. Master bath has Large soak tub and shower with glass enclosure including a large countertop with double sinks. Family room with cozy fireplace.Laundry room is conveniently located upstairs.Entertain this summer in your fantastic back yard featuring a covered patio, built in BBQ, and luscious grass area.Walking distance to the large neighborhood park.Â Close to school,shopping center, and freeway!